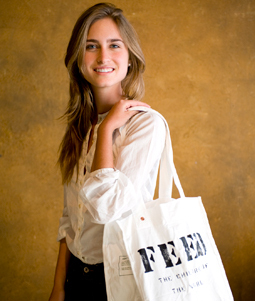 Lauren Bush has a new blog Beyond the Bag. It is a lifestyle blog about “living well and doing good.” I have always admired Lauren and the work she does to aid hunger around the world.Take a look and let me know your thoughts. I was sent the link to Laura’s blog and love what she is doing. To me, living well and going good go hand in hand. The more that we recognize that we are ONE, doing good is not even a ‘doing’ anymore, but a way of being coming from the deepest part of our soul. Thank you, Margaret!